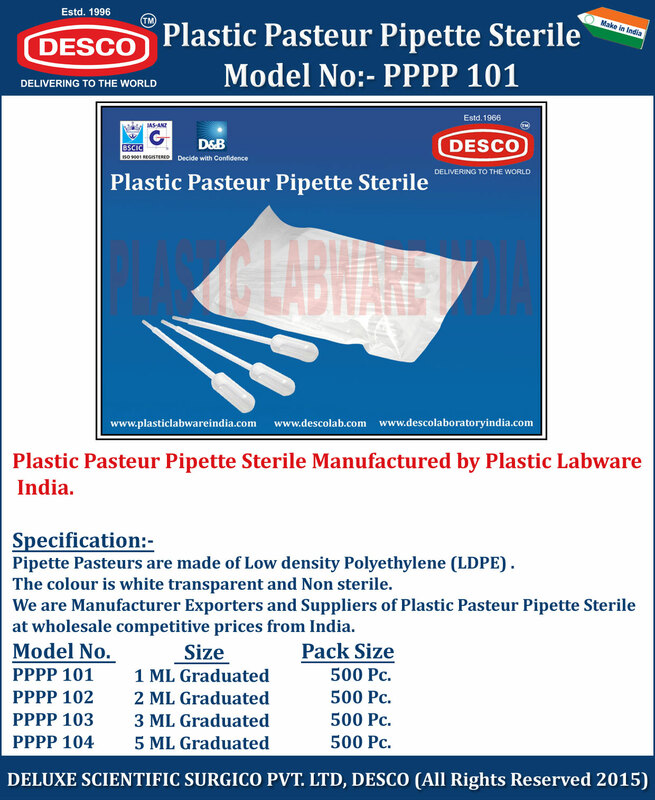 Pipette Pasteurs are made of Low density Polyethylene (LDPE) . We are Manufacturer Exporters and Suppliers of Plastic Pasteur Pipette Sterile at wholesale competitive prices from India. PPPP 101 1 ML Graduated 500 Pc. PPPP 102 2 ML Graduated 500 Pc. PPPP 103 3 ML Graduated 500 Pc. PPPP 104 5 ML Graduated 500 Pc.